When you find yourself in a rare moment of quiet or solitude, do you reach for your phone? If you were really honest about it, how many times a day, in total, do you think you make that big reach? My guess? A lot. In fact, if you really counted, you would probably shock yourself with just how often we do this. And it feels pretty normal, unless you stop and ask yourself just how normal it really is. Now, answer this: Are your kids reaching for their devices just as often? And is that the same kind of normal? The average attention span went from from 12 seconds to 8 ¼ seconds between 2000 and 2015. This means that our tolerance for quiet, undistracted time to be with our own thoughts has diminished 25% in a very short time. With the loss of those precious seconds, what do we actually miss out on? The only way to answer that question is to get those seconds back. So I set myself up for a little experiment. I couldn’t just fabricate this experience by sitting myself down for some quiet solitude. I needed to catch myself in those moments of reaction—when part of me says, “Ugh, I’m bored,” or, “I shouldn’t just be sitting here doing nothing,” and I make the big reach. I did this for a couple of days, struggling at first because I was judging myself for having the urge in the first place. But I developed a little acceptance by letting myself get to the point of having the phone in my hand, and then I would put it back down and close my eyes. Here’s what I found: discomfort. More often than not, the feelings I touched in these moments of mindful contemplation were uncomfortable. I was stressed about work. I was feeling the glare of the dirty dishes. I was worried about my mom, who fell last week. It turns out, I have a really easy way—always within reach—to distract myself from the discomfort, a really easy way to protect myself from pain. My phone is actually my new enabling best friend who is always available to offer distraction from the things that can overwhelm me. This revelation made me think about how my kids are using their phones, and why it has become such an important part of their lives. If I reach out to distract myself from uncomfortable feelings, why would I assume it would be different for my kids? In my life, I became a camp counselor, a teacher, and then a parent, and along the way I determined that somehow I could protect kids from some of the emotional growing pains I had to go through. I’m willing to bet that it’s a pretty common goal among caring people. So, it isn’t surprising that I watch with complete understanding and empathy as my children reach for the phone to help avoid facing these challenges. But what are those unwanted emotional growing pains, anyway? When you boil them right down to their essence, they are experiences. They are moments in our life, counted in lost seconds. What does it mean, really, if I relieve my kids of those seconds, those experiences of embarrassment, self-consciousness, even rejection? Against my best intentions, I’m not gifting them with a Get Out of Pain Free card. Instead, I’m teaching them the tools of distraction. What’s the answer? I’m actually laughing right now at the thought of proposing that my kids perform an experiment where they put their phones back down as soon as they pick them up—in order to find themselves. No, that’s not going to work—least of all, because I haven’t done a complete job of teaching them how to live in and with their pain—I’ve been trying harder to protect them. The answer is a combination of reclaiming the seconds and actively engaging and accepting what exists there. Even when they’re not on their devices, kids are busy with schoolwork, extracurriculars, playing with friends. I’ve got to say, I’m trying to come up with more than one perfect solution. But even the idea of sitting down regularly with my kids to meditate and have focused discussions is going to quickly fall flat for them, and honestly would be difficult for me to sustain—I’m busy too. The only perfect solution I can come up with is summer camp. Not all camps are created alike. The one I know is a highly complex machine, whose parts are all greased by the same consciousness-raising oil that helped slide me into awareness of the fact that my kids need to experience their feelings—all of them. In that context, kids can’t escape the activities that scare them, they can’t escape the conflicts that inevitably arise among peers, and they can’t escape their own emotions because people are drawing attention to them all the time. This is especially true in the case of programs for older kids. They’re learning how to be leaders, and they are tasked with the responsibility of engaging their own emotions and conflicts with others so they can lead younger campers, authentically, to do the same. That’s not something I can emulate at home. Even if I look them in the eyes and say, “Forget everything I’ve ever said about how I’m the boss. I want you to take ownership for that responsibility and change the world!” It’s a sweet thought, but it’s not going to work. I say that camp is the only perfect solution I can come up with because it breaks the mold. At school, the hierarchy is in place. In sports, they get close to some real leadership responsibilities, but they’re still answering to their coach and striving for a defined goal and expectation. There’s not a lot of room there for being in touch with the emotional experiences of the moment. But camp breaks down some of the structure that kids are inevitably existing in just about everywhere else. The adult leaders espouse a very different mindset of what kids represent and what they’re capable of. That unusual mindset rubs off, and the kids begin to believe it too. That’s the only way they can reach their absolute potential—not by striving toward expectations but by practicing acceptance and awareness of who they actually are. At most camps, the counselors and adult leaders are also undergoing a mandatory hiatus from screen time so they are in a position to be acutely aware of, and intentional about, the opportunity it presents for this kids in their care. I want to protect my kids and somehow preserve the precious childhood seconds they have “lost” to their phone screens. So, I send them to summer camp. And then when they come home, I let them teach me how to be real with them. In fact, they’ve given me valuable insight into how I can be more real with myself. They open up to me because they’re better able to open up to themselves. Then, you know what? The urge to escape from real experience goes away. If you’re curious about my ‘perfect solution’, you’re already in the right place to find out more. 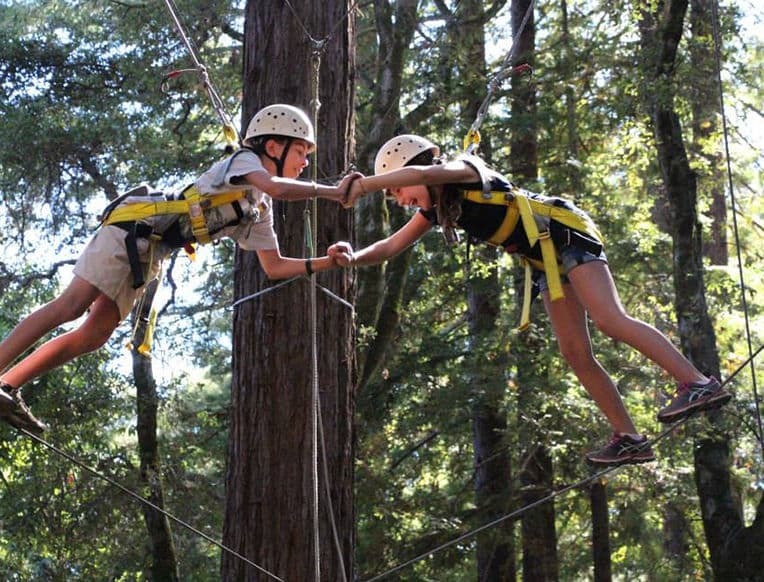 Reach out to Kennolyn Camps and ask them directly about the range of programs they offer for kids entering 1st through 12th grades and about their commitment to your child’s emotional well-being.